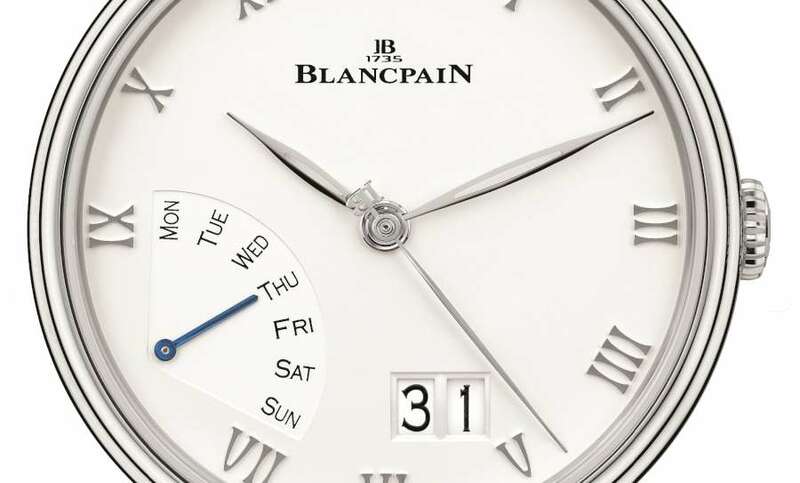 Jehan-Jacques Blancpain set up his first workshop on the upper floor of his house at Villeret in 1735, and this date makes the company the world’s oldest watchmaking brand. His business was successful and he was followed by his heirs. His great-grandson Frédéric-Louis Blancpain transformed the traditional crafts workshop into an industrial concern. In the mid-19th century, Swiss watchmaking went through a crisis period, threatened by watches made in America, where serial production had reached industrial dimensions. In response, Blancpain built a new factory alongside the river Suze and used hydro energy to generate the power needed for production. They also concentrated on high-end products, and as a result, Blancpain was one of the few watchmaking companies in Villeret to survive. In 1926, Blancpain became involved with John Harwood, inventor and watch repairer from the Isle of Man. Harwood had patented the first practical automatic wristwatch in 1924 (much earlier, Perrelet and Breguet had designed self-winding systems, but they were ineffective and excessively expensive when applied to pocket watches), but needed help and investment to put it into production, and found it in Switzerland. In one of the most confused chapters of watchmaking, Harwood’s invention was adopted by Blancpain, Fortis, Wyler, Selza and other brands, and more specifically, Blancpain adapted the system to small watches for women, launching the rectangular “Rolls” designed by Léon Hatot, which became the world’s first ladies’ automatic watch. (Some sources attribute the Rolls to Fortis and not to Blancpain). A brief digression: in 1931 another company adapted the Harwood system, giving it the name Perpetual. That company was Rolex, and there was some dispute between them and Harwood until when in 1956 they acknowledged Harwood’s role in the invention of the automatic winding system. 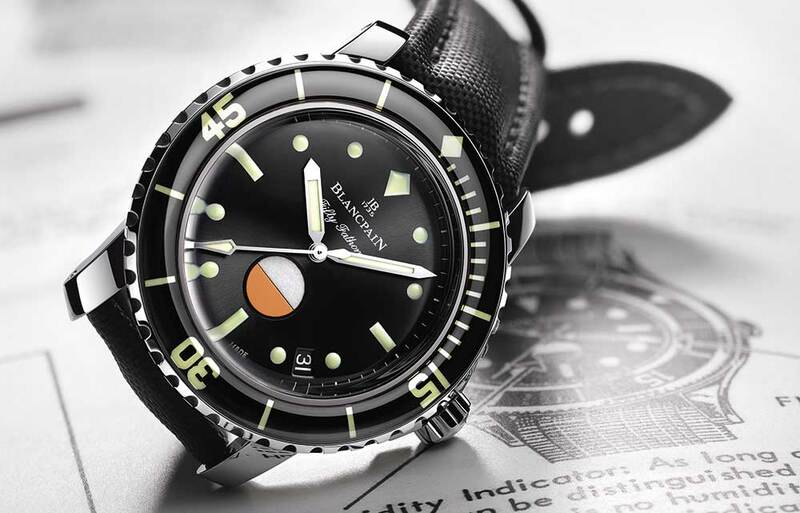 To return to the main story, the Blancpain family’s connection with the company ceased in 1932, and so, due to the vagaries of Swiss company law, they had to change the name. They chose Rayville (inverting the syllables of Villeret). The company thrived, with production reaching over 200,000 watches a year by 1971. Their products included the Fifty Fathoms, launched in 1953 in response to a request by the French Navy. The company was successively absorbed into the SSIH watchmaking group, joining Omega, Tissot and other brands. The quartz crisis forced SSIH to reduce production and sell some of its assets. In 1983 the Rayville-Blancpain brand name was sold to Jacques Piguet, director of Frédéric Piguet, and Jean-Claude Biver, and the company recommenced production at Le Brassus, trading as Blancpain once again. Under the new management, Blancpain concentrated on high-end watches, no longer making movements for other manufacturers. In 1992, SSIH (which had been renamed SMH in 1986 after its reorganization by Nicolas Hayek) repurchased Blancpain; Jean-Claude Biver remained CEO of Blancpain until 2003. In 1998 SSIH became the Swatch Group, and in 2002, Marc A. Hayek (Nicolas’ grandson) became Chairman and CEO of Blancpain. In 2010, Blancpain absorbed Frédéric Piguet, also owned by Swatch Group and already making movements for Blancpain. The company thus acquired another manufacturing unit in the Joux valley. Today, the company’s policy of making just high-end watches in relatively limited numbers has proved very successful. Blancpain have adopted the Carrousel, a complication analogous to the tourbillon and forgotten for a century, making it one of their specialities. Other important series are the Fifty Fathoms diving watches, the progressive L-Evolution watches, and the classic Vileret collection.